The air intakes in my house are getting old and bent up, so I decided to make some more decorative ones. 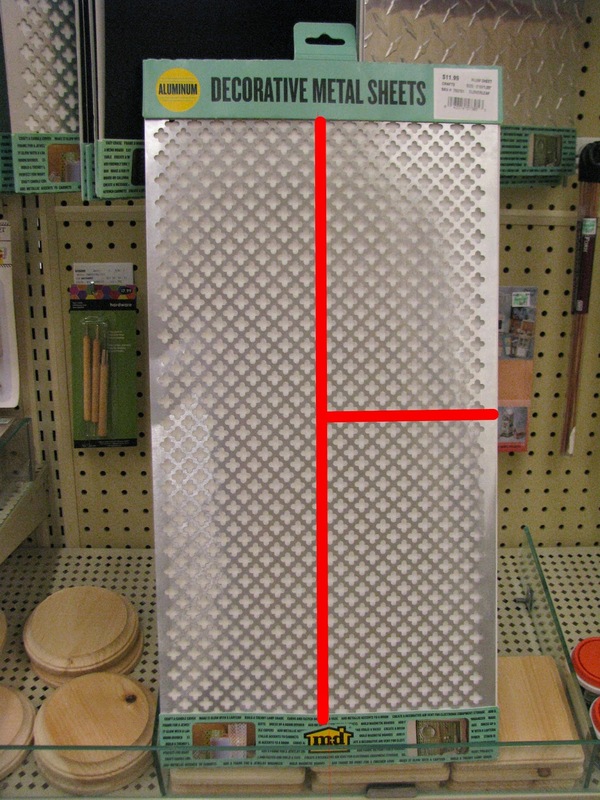 I started by measuring the grate to decide how tall and wide I should make it. I only wanted to buy one sheet of metal, so I kept that in account. The metal sheet would not be long enough to cover the whole opening, so I cut the sheet in half lengthwise and then cut one of those pieces in half to add to the side. In order to hide the add on piece, I used 1x2s to divide it into 3rds. I glued all the pieces together with wood glue and then hot glued the sheet metal to the back. Here you can see the piece added on. Then I flipped it over and spray painted it white. 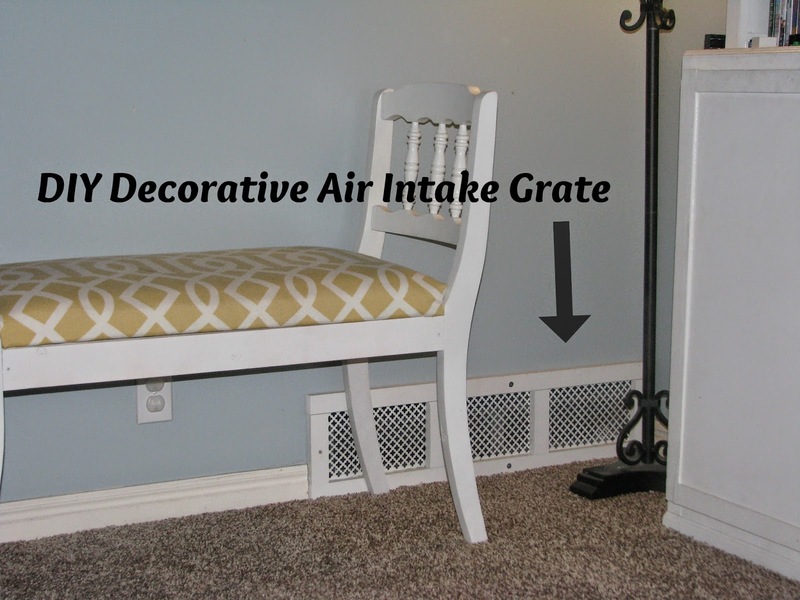 Since you can see through the grate more than a typical wall grate, I painted the inside of the wall black to make it less visible. Pretty fancy grill cover. Nice work it looks great!